Cyber security isn’t just a tech concern, it’s a business risk - David E. Quan Agency, Insurance Brokers, Inc.
Hackers once stole a casino’s high-roller database through a thermometer in the lobby fish tank! With billions of connected devices cyber security isn’t just a tech concern, it’s a business risk. Cyber Crime is on the rise, from costly data breaches to stealing millions of dollars from online bank accounts. Even though electronic devices and the internet help to streamline your business, they are both used by hackers to compromise your confidential data. Hackers are increasingly targeting “internet of things” devices to access corporate systems, using everything from CCTV cameras to air-conditioning units, according to the CEO of a cybersecurity firm. The internet of things refers to devices hooked up to the internet, and it has expanded to include everything from household appliances such as thermostats, refrigeration systems, HVAC systems, to people who bring in their Alexa devices into the offices to widgets in power plants. It expands the attack surface, and most of this isn’t covered by traditional defenses. Do you retain physical or electronic records of employees or other third parties? Do you allow employees to use personal devices to connect to your company’s network? Do you utilize mobile technology? Do you have an active website? Do you utilize third party vendors? Do you accept credit card or other electronic payments, or utilize online bill pay? Do you store customer or corporate confidential information? As you can see, all businesses are at risk unless you have missed the 21st Century! Breaches can occur in a variety of ways, so it is important to stay ahead of hackers, viruses and other Cybersecurity threats. 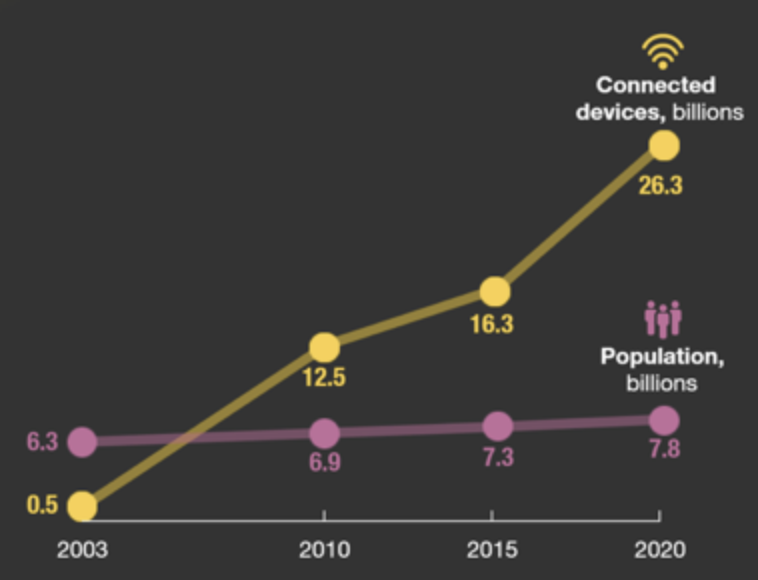 With the internet of things producing billions of new devices shoved onto the internet over the next few years, that’s going to be an increasing problem. Many of us would be surprised to know the average number of records lost in a Data Breach is over 900,000, while $5.3 Billion worldwide has been lost as a result of Business E-mail Compromise. Approximately 85% of surveyed company executives reported experiencing a Cyber Attack or Breach. And it’s not just the high-profile companies like Macy’s, Adidas or Delta Airlines we see in the headlines who are at risk. Many small to mid-sized organizations are more at risk than ever in part because of the personal information provided on social media. It comes as no surprise, your employees are often the biggest threat to data security, from inadvertent activities on social media to intentional action. There is a way to protect your business before you are the victim of a Cyber Attack; by purchasing Cyber Liability Insurance. A chronology of all Data Breaches reported in the U.S. from 2005 to the present can be found at www.privacyrights.org. Contact us to further discuss Cyber Insurance protection for your business. It’s time to put Cyber Insurance in place!